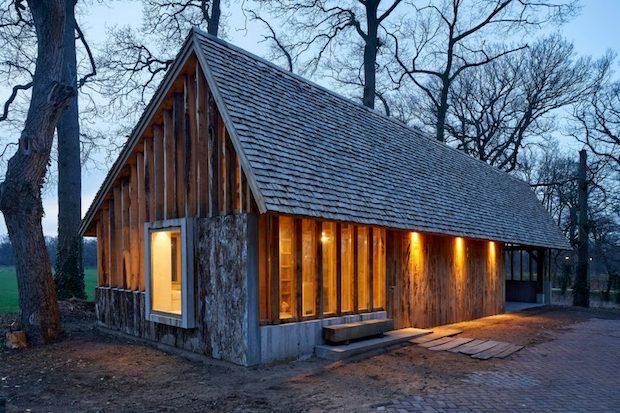 What Do You Get When You Have Creative Architects and a Field of Trees That Need To Be Cut? 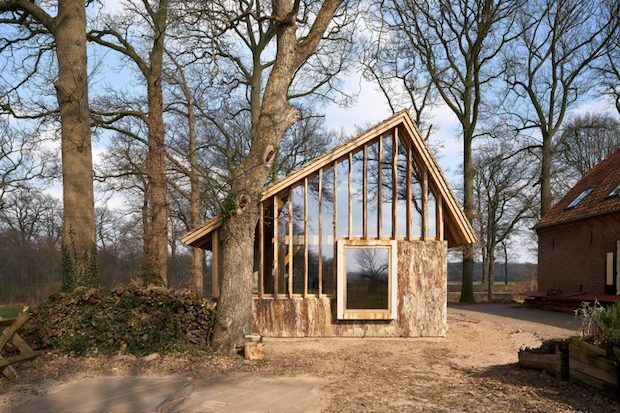 Somewhere in the Meierij region of The Netherlands, there was a field where most people would just see a bunch of old trees, two architects saw an opportunity. Using a mobile sawmill, the old trees were carefully cut down and processed into the materials needed to construct the barn. The stronger parts of the trees used for the frame, and the rest of the sections of the trees were used for everything else; the architects made sure that no part of the trees would go to waste. 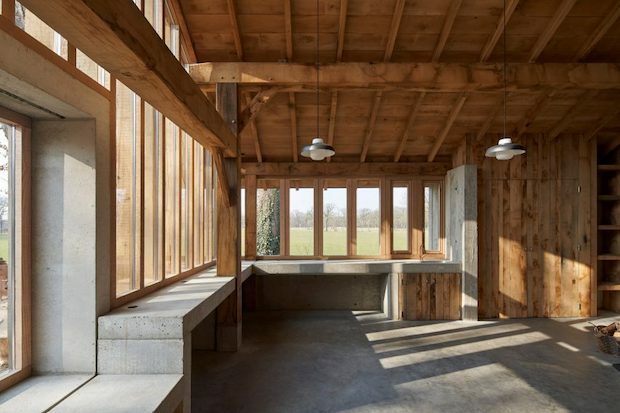 From the frame to the shingles, the barn’s structure is mostly comprised of the felled trees, with concrete and glass making up other parts. 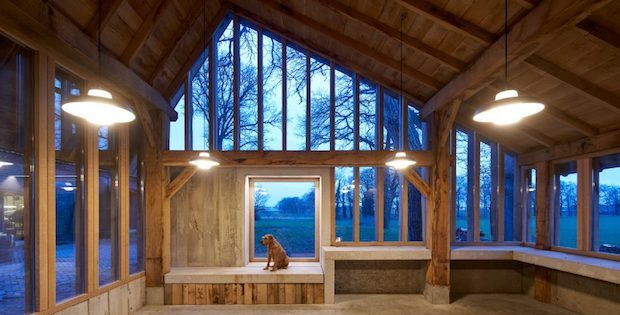 All this gives the asymmetric barn a classic rustic look. The studio space can be turned into a workshop or meeting room, with enough space for a storage room as well. The height of the ceilings also allows for the addition of a loft area. So if ever you have a building project in mind, take note that a location with readily available materials can save you a lot in construction expenses. Fairy Tale Houses Come Alive!